of an expansion that was labelled a failure? Doom to the Scouts. as far up as ownership of the team? Doom to the Rockies. Once in New Jersey, though, things would get better on ice and off. made, and a threat to be moved once again; to Nashville this time. 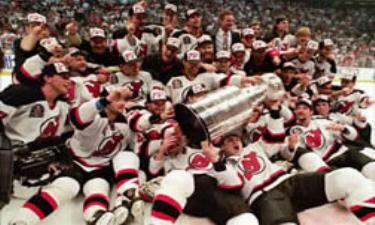 the Devils down, but every year, they find a way to go over it. a consistent winner on the ice, and a class organization off the ice. Hell hath no fury like Devils hockey.